Local reports that Brad Pitt will star in the project, being developed by David Fincher, are incorrect. The Australian government is ready to offer Disney a 30 percent locations rebate worth about AUS $20 million ($19.2 million) to shoot its remake of 20,000 Leagues Under The Sea: Captain Nemo down under this year. News Ltd. newspaper The Daily Telegraph said Disney executives are meeting with federal arts minister Simon Crean in Canberra on Thursday to finalize details of the incentive before the studio green lights the production. Crean has reportedly given government approval to the deal. Disney location scouts are said to be considering the Village Roadshow Studios in Queensland, where Terra Nova was made, and Fox Studios in Sydney, home of The Wolverine, for the shoot, which will be biggest film ever to be made here. 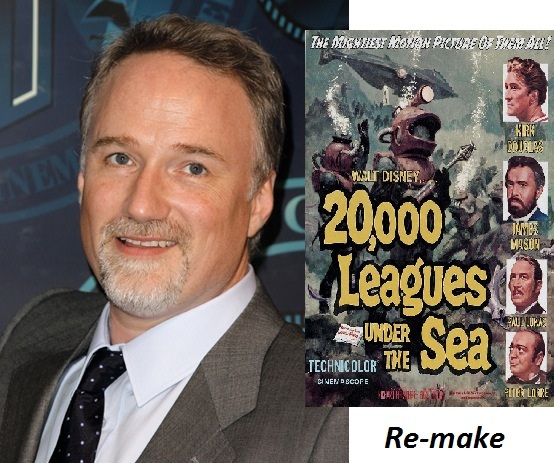 The remake of the 1954 Jules Verne classic, which David Fincher is developing for Disney, is expected to exceed the 2,000 local jobs created during the recent filming of The Wolverine, which generated $80 million in local investment and contracted 850 local companies. The Australian locations incentive currently sits as a 16.5% tax rebate for foreign productions, but the government provided The Wolverine with a 30 percent incentive to shoot here last year in a one-off arrangement. Locations marketing agency Ausfilm has been lobbying the government to increase the incentive to 30 percent permanently to counteract the strength of the Australian dollar against the U.S. dollar. That has made production of big-budget features down under almost prohibitive in recent years.